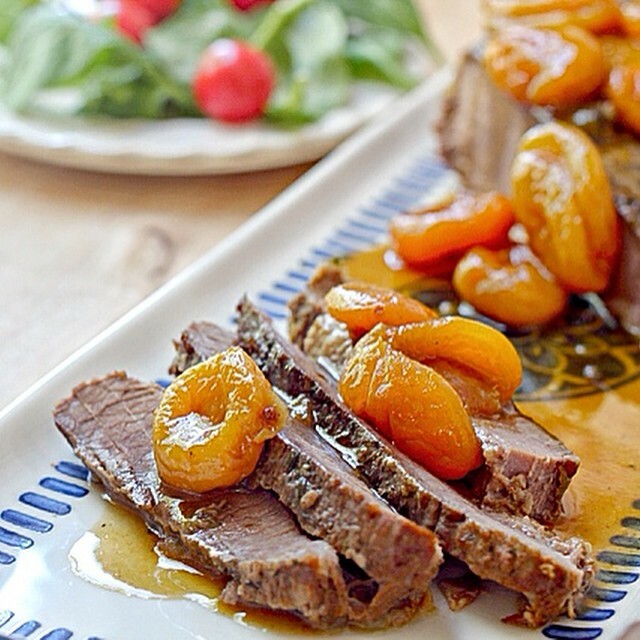 White wine braised brisket with apricots. I used a whole bottle of wine. You're welcome.